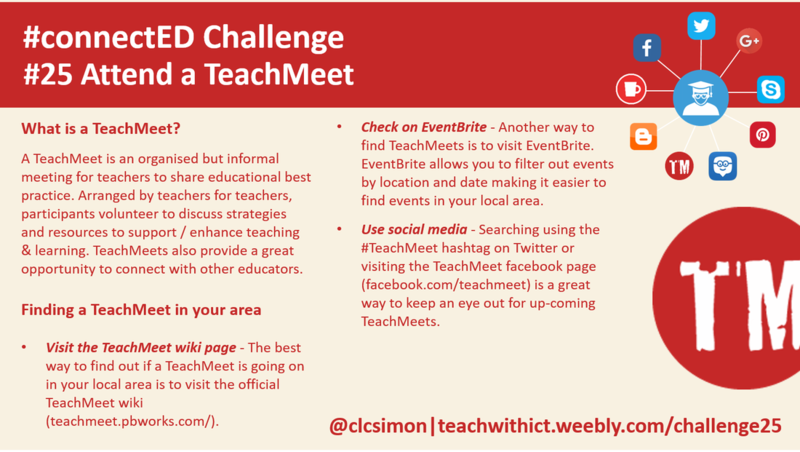 Challenge 25: Attend a TeachMeet. As the ‘OrrSome’ Rachel Orr once said - "You don't need shiny tech to be a globally connected educator. Many ways are free or at little cost.". TeachMeets are a great place for inspiration as well as meeting like minded educators - "You can’t beat a good face to face chat with someone after a TeachMeet". According to Wikipedia: “A TeachMeet is an organised but informal meeting (in the style of an unconference) for teachers to share good practice, practical innovations and personal insights in teaching with technology. These events are often organised to coincide with other educational events like the Scottish Learning Festival and the British Educational Technology and Training Show BETT. Participants volunteer (via the TeachMeet website) to demonstrate good practice they've delivered over the past year, or discuss a product that enhances classroom practice. You don’t have to present to get the most out of a TeachMeet. Lurking in the audience is perfectly acceptable (and encouraged). Not only do TeachMeets provide free CPD (and the occasional free supper), they also provide a great opportunity to network with other educators and share best practice. For me, the best part about TeachMeets is being able to meet with other educators face-to-face – even if it’s just to say hi! The other major benefit of TeachMeets is that, in general, all the presentations are from practicing teachers with actual experience of using their ideas in the classroom. 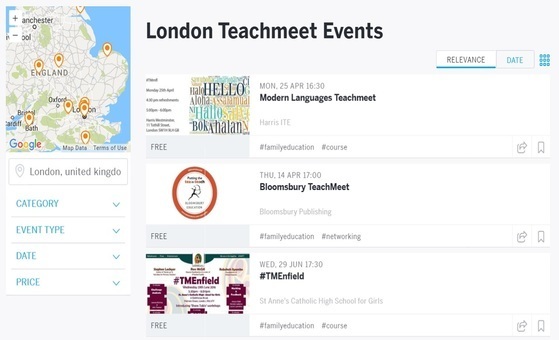 EventBrite is a great place to find TeachMeets in your area! You will also find many TeachMeets advertised on Social Media such as Facebook & Twitter. 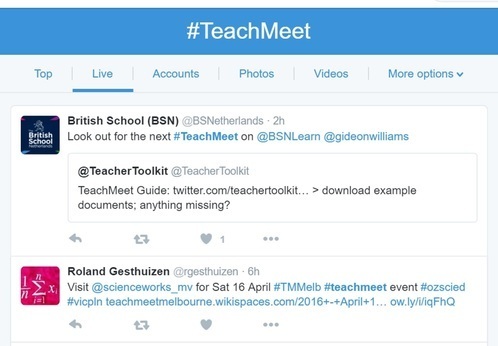 The #TeachMeet hashtag on Twitter is another great way to find TeachMeets in your area! 2. Check out TeachMeet on FaceBook for the latest events and news.